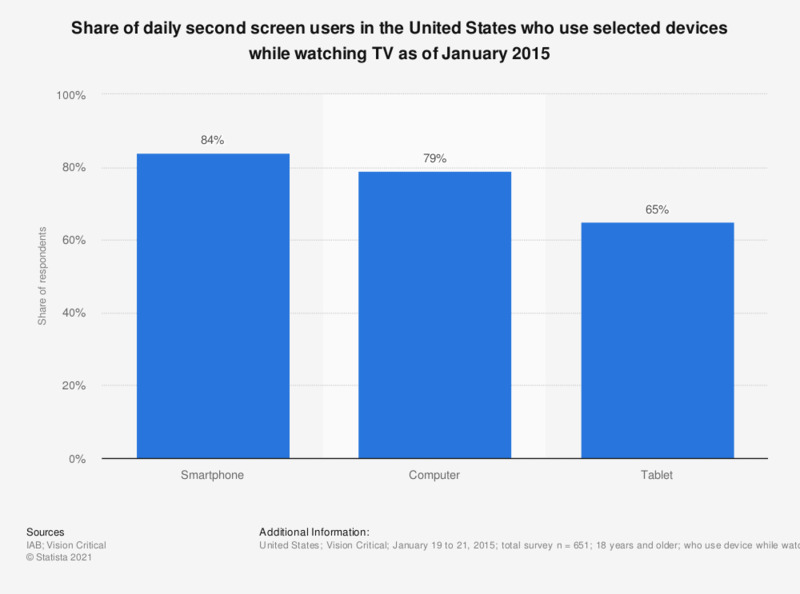 This statistic shows the share of second screen users in the United States who use device while watching TV on a daily basis. During the January 2015 survey, it was found that 84 percent of smartphone users who used the device while watching television did so on a daily basis. Question: "How frequently do you use the following device while you are watching TV?"